On Design Santa Barbara we welcome Dana Newquist. He is a historian, philanthropist, alzheimer’s as well as a dementia care specialist. As a result, See as he tells us a little bit about him self. In conclusion, Learn how he got involved in the computer business and what he did to be involved with Apple. Furthermore, Dana Newquist is the President of the Santa Barbara AACA Region (Antique Automobile Club of America). As a result His is a lifetime of automotive enthusiasm that began when just prior to graduating from High School, in 1965 when Dana purchased a rusty old 1957 Chevy 150 2 door. In conclusion, It was the first of hundreds of cars, first fast, later slow. Furthermore, His passion for cars has lead to a collection of 16 cars today, mostly pre-war American of various marques. 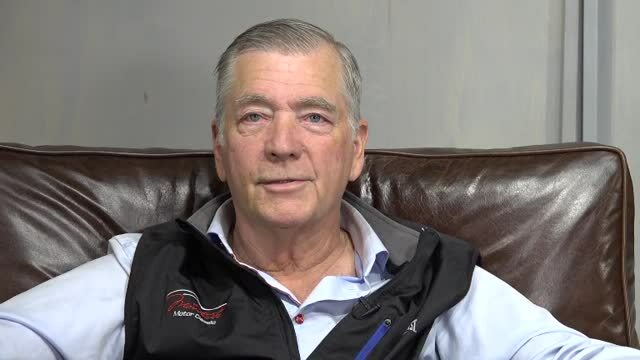 Dana’s involvement with the AACA has helped him make connections and affiliations with Museums and he is a Board Member of the Murphy Auto Museum. Because Newquist helps chair and organize local car shows and he currently co-chairs the Montecito Motor Classic and Father’s Day Show at the Santa Barbara Club that takes place annually.